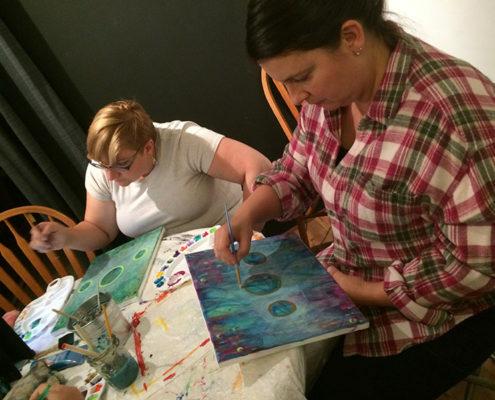 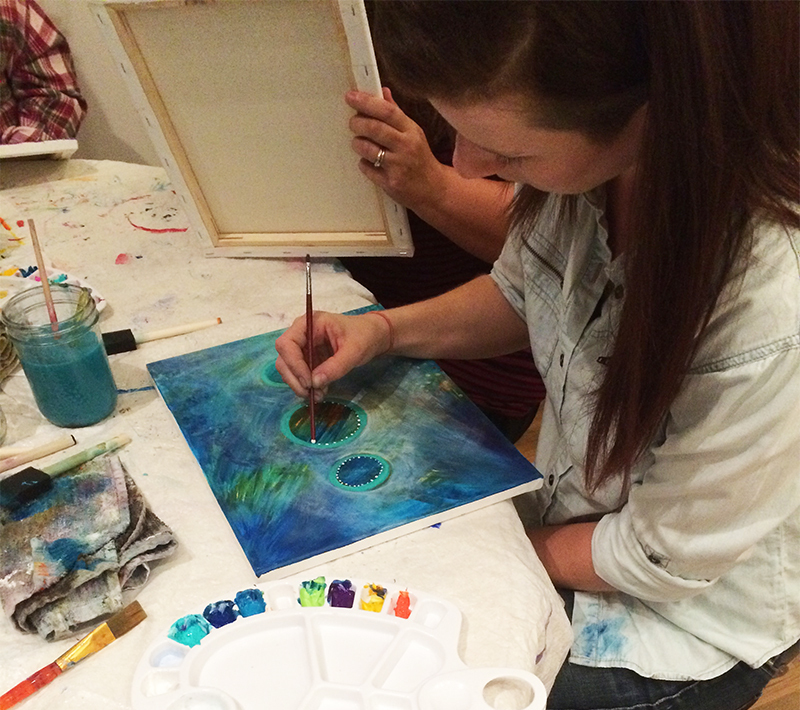 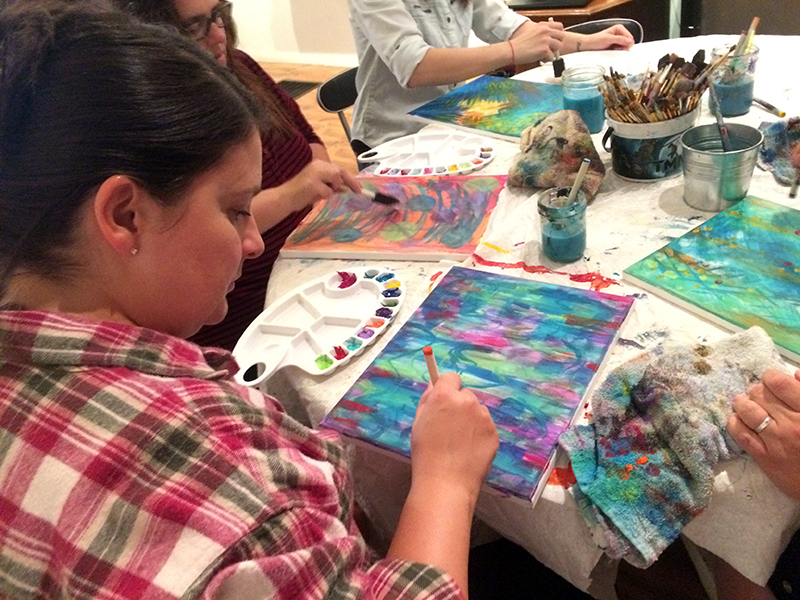 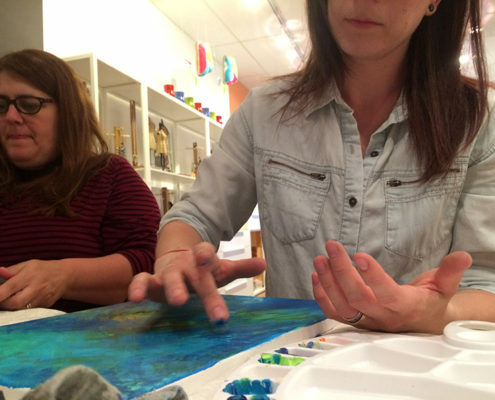 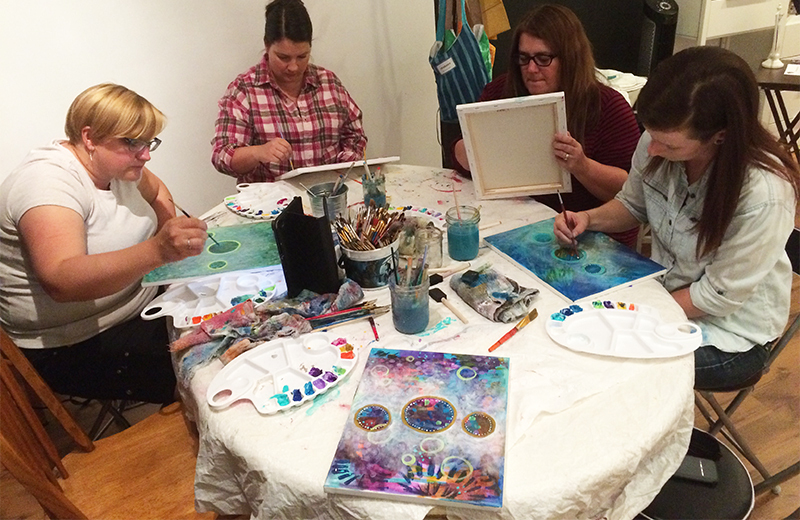 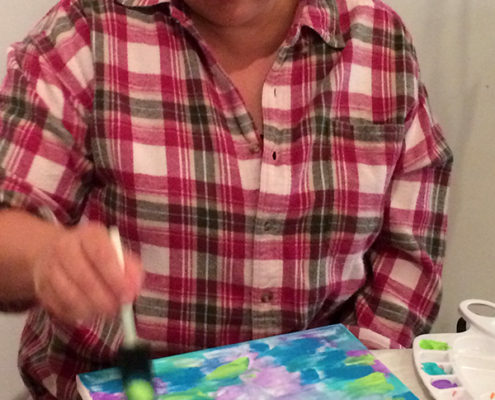 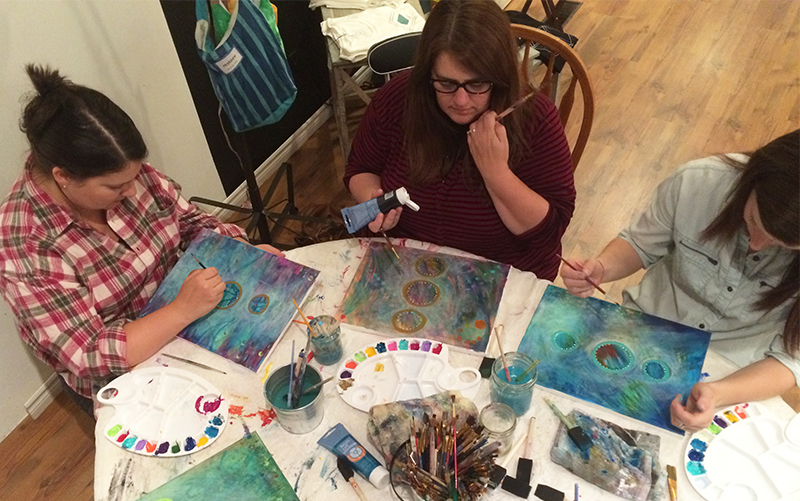 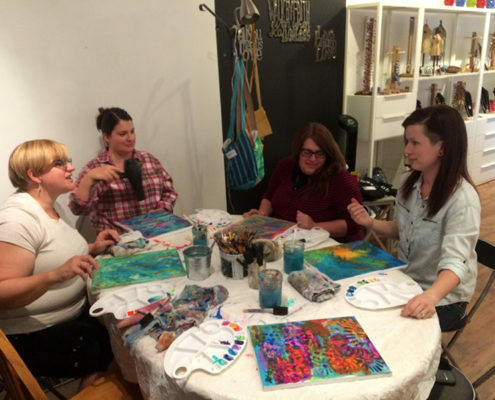 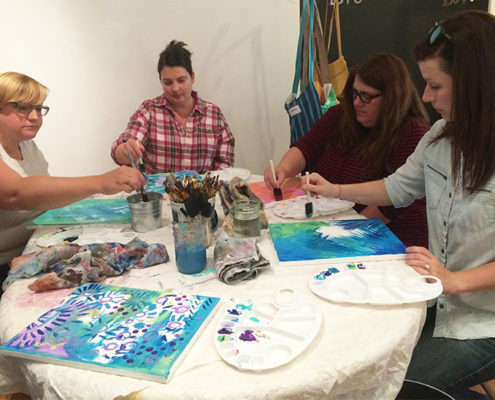 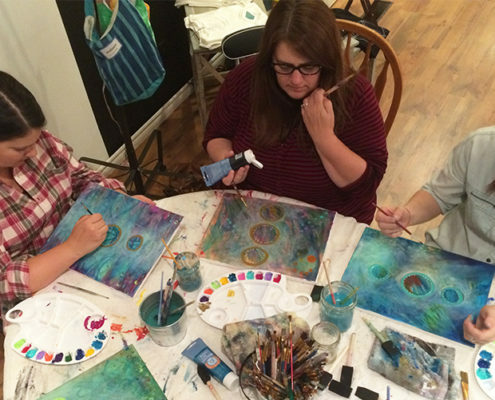 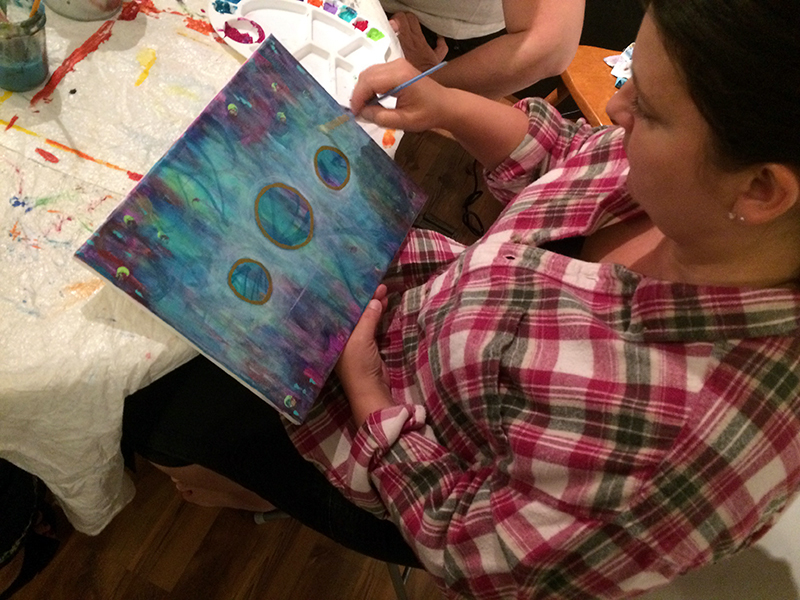 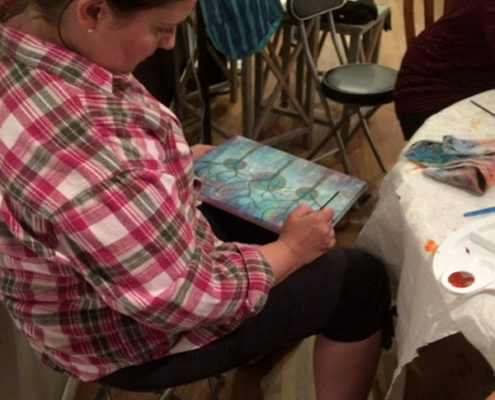 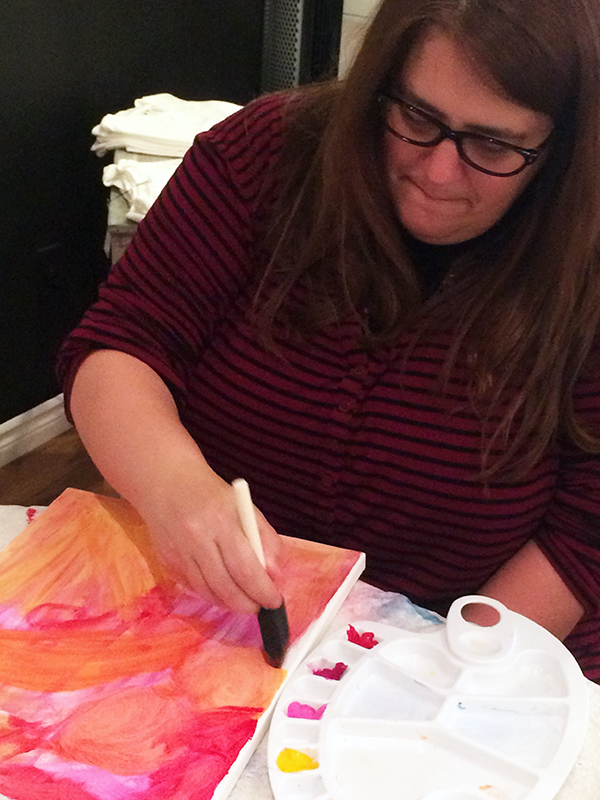 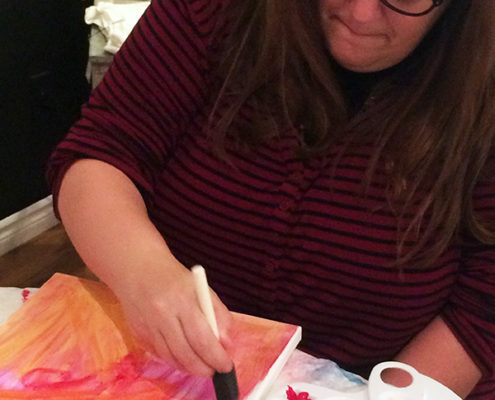 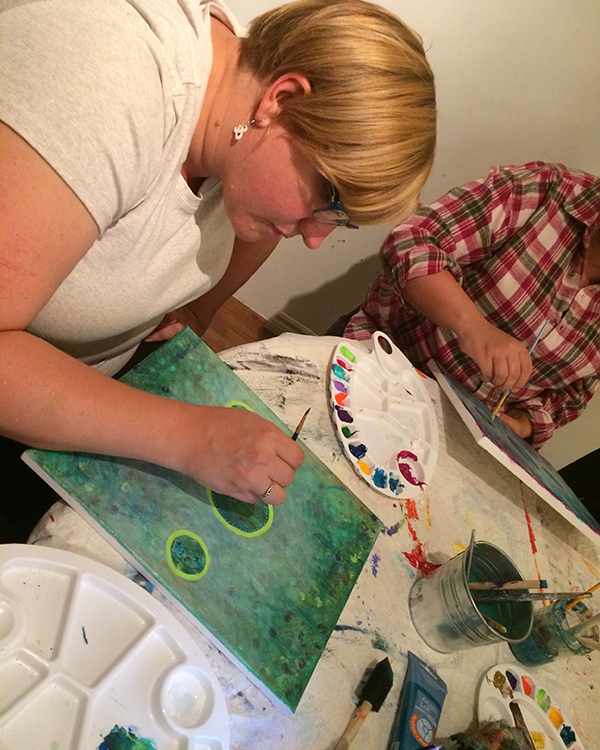 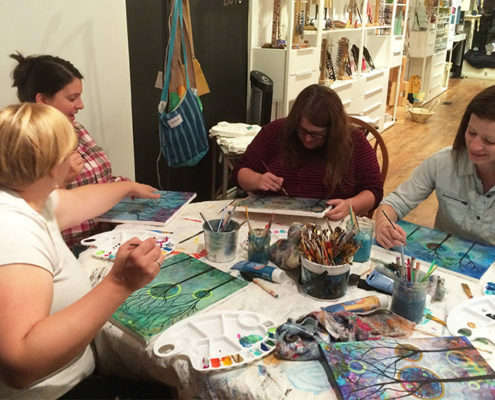 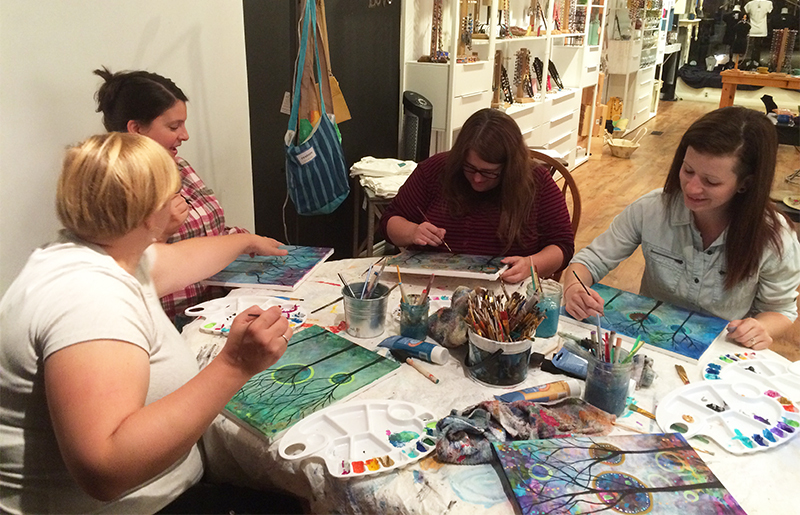 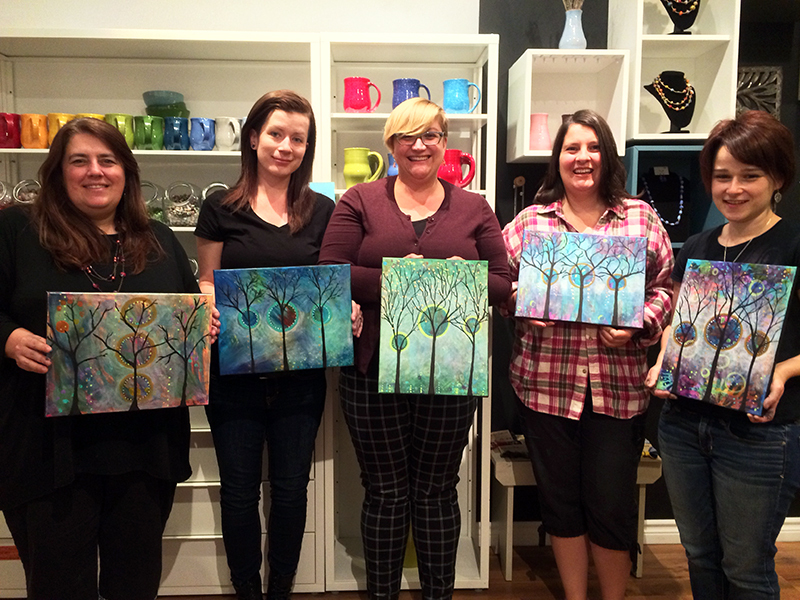 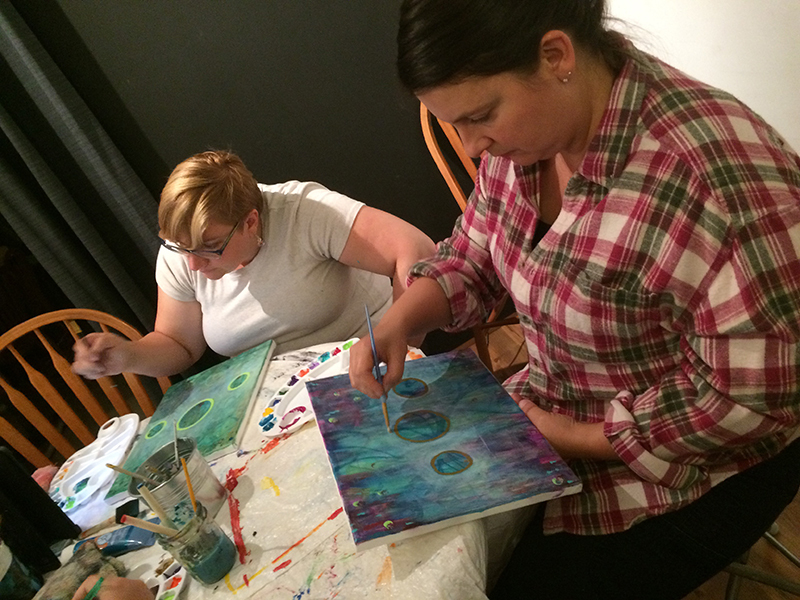 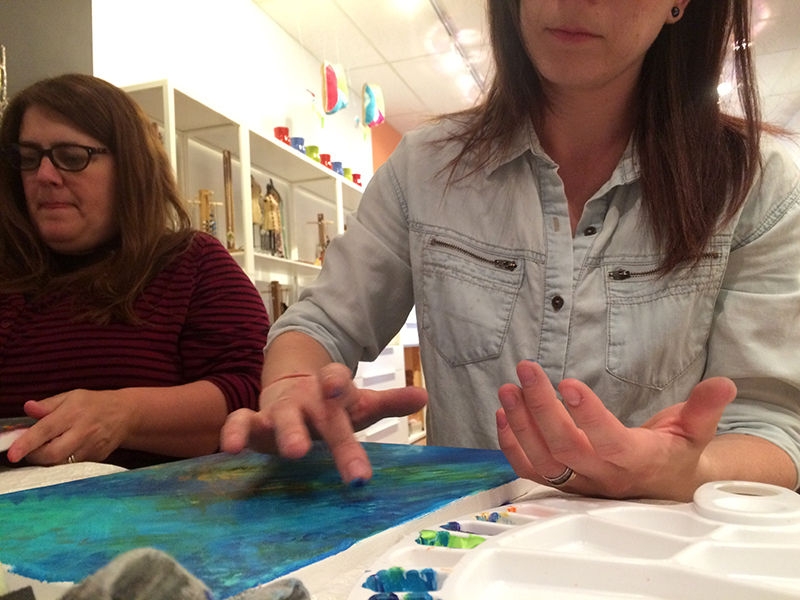 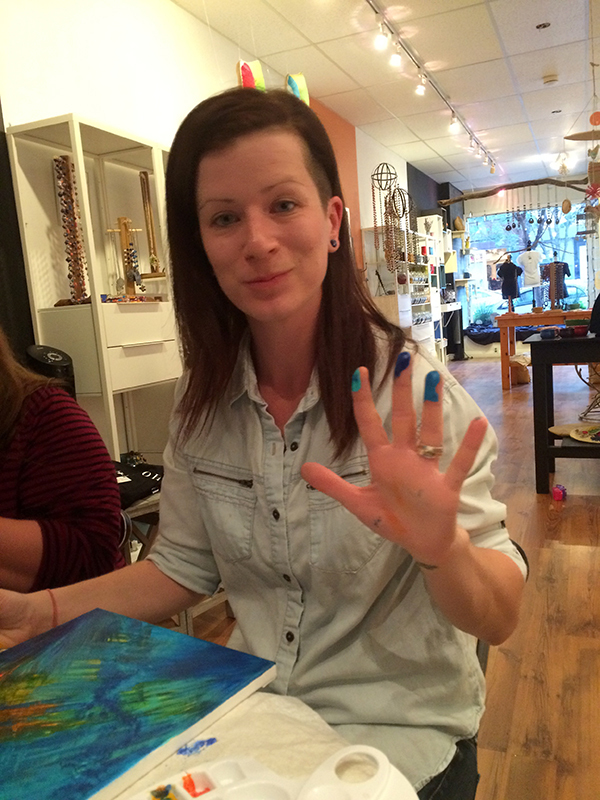 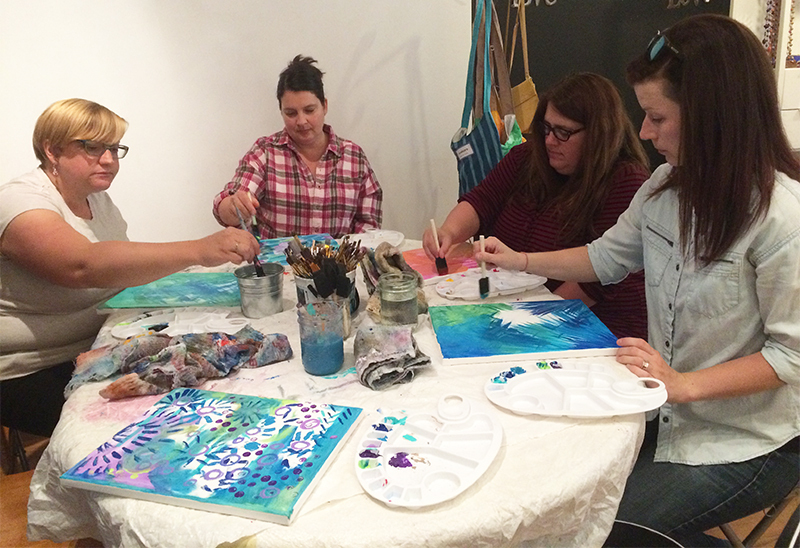 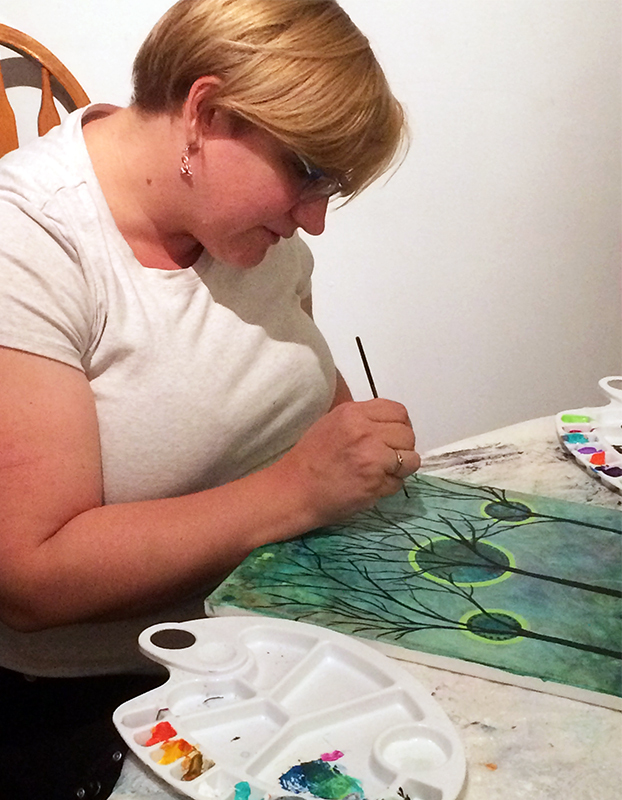 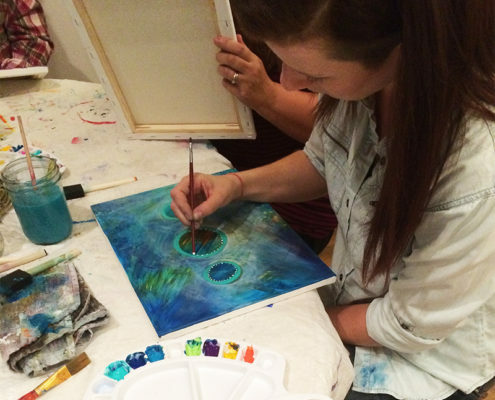 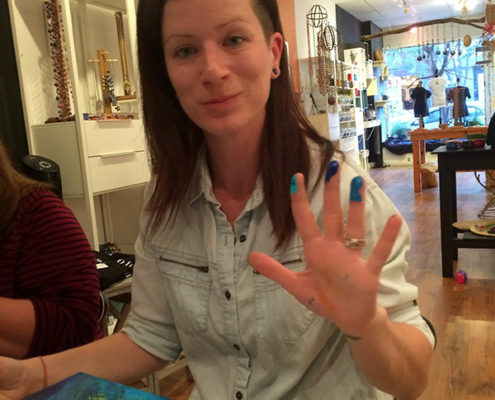 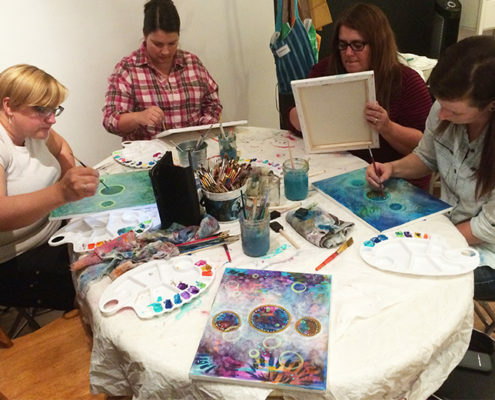 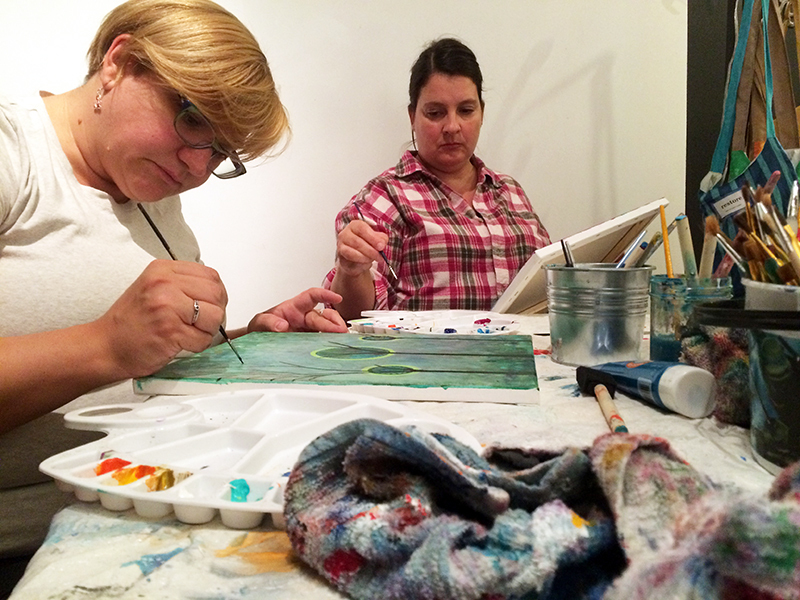 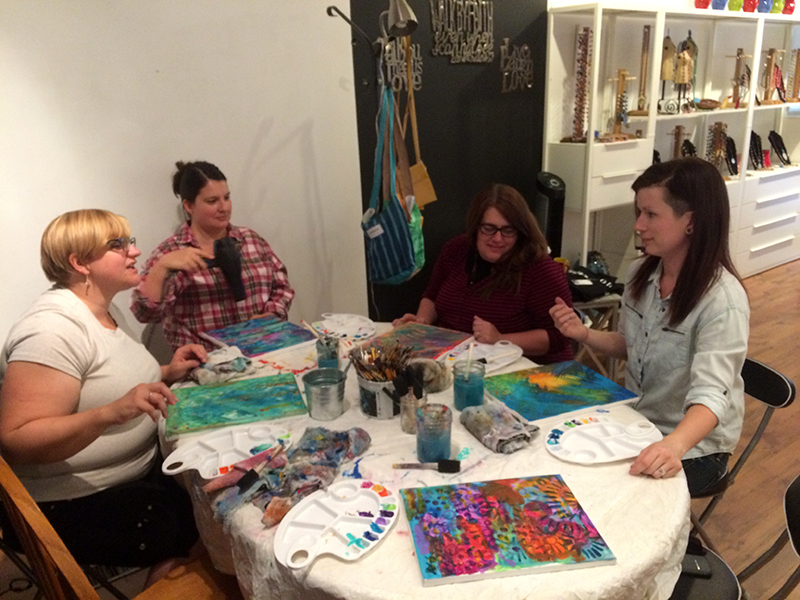 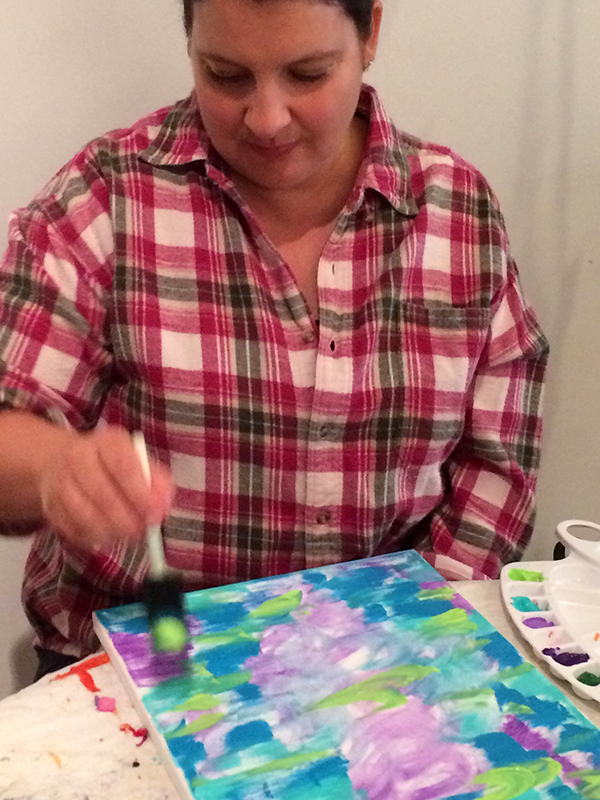 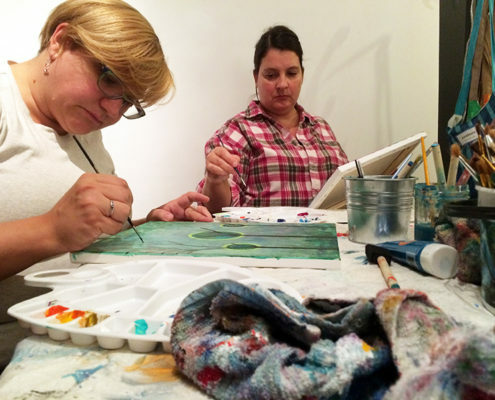 This past Friday night I had the pleasure of leading a wonderful group of ladies through an Intuitive Painting. 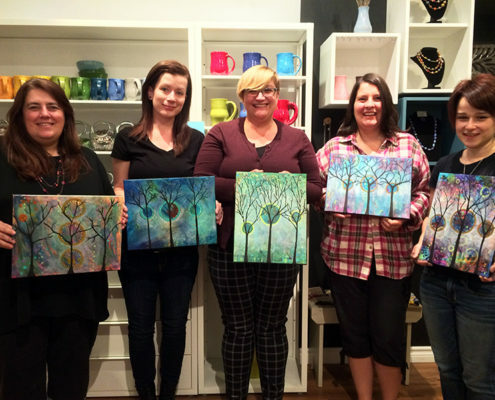 They gathered together to celebrate their dear friend’s birthday. 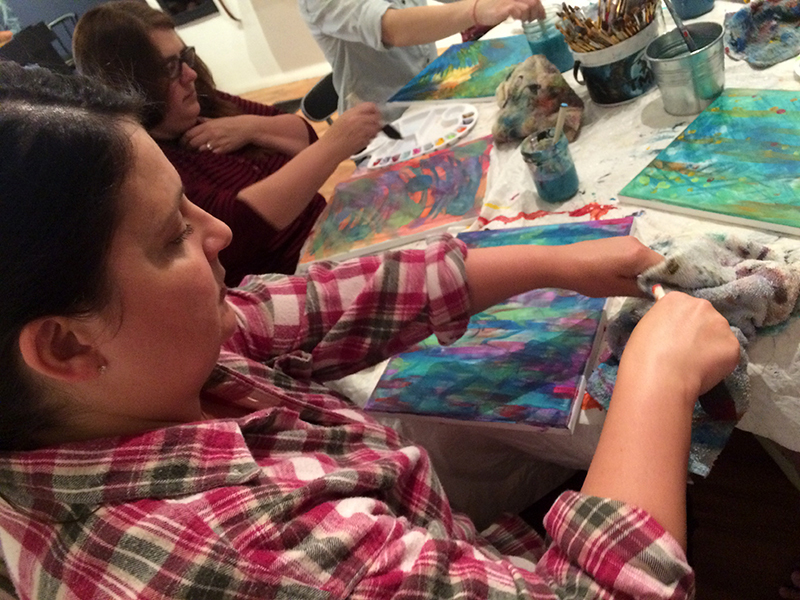 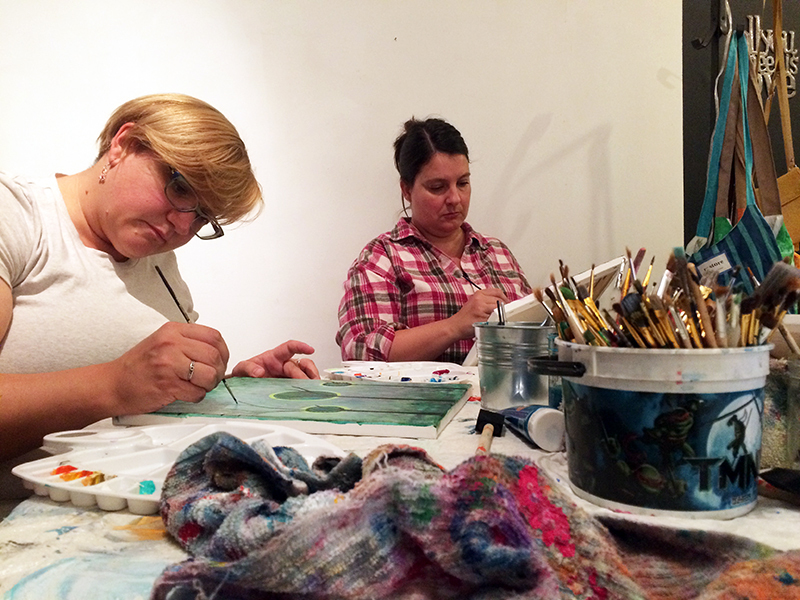 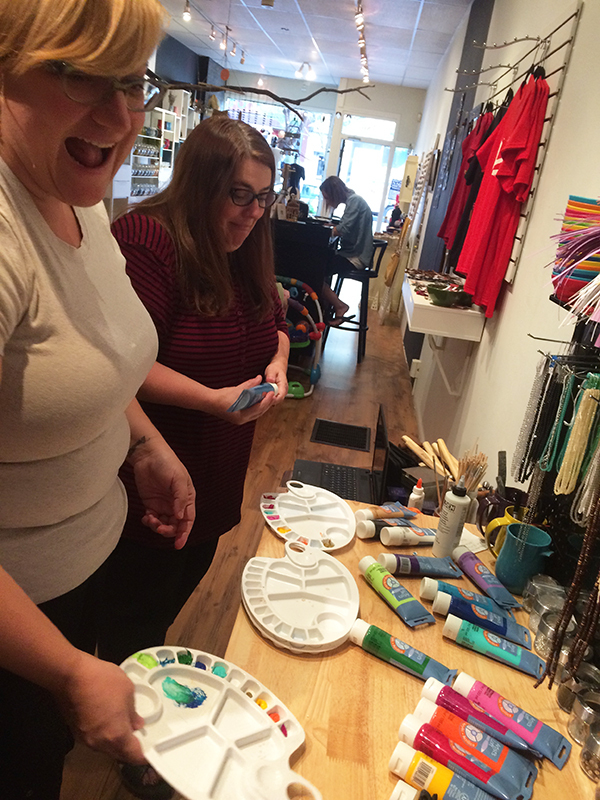 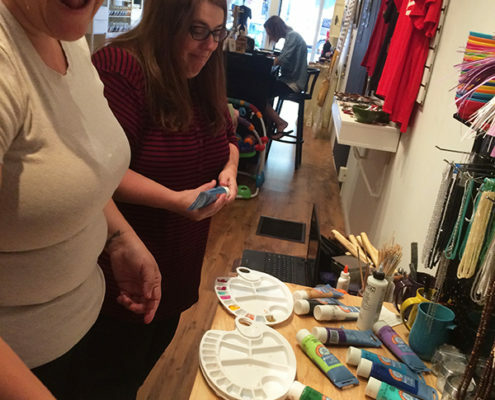 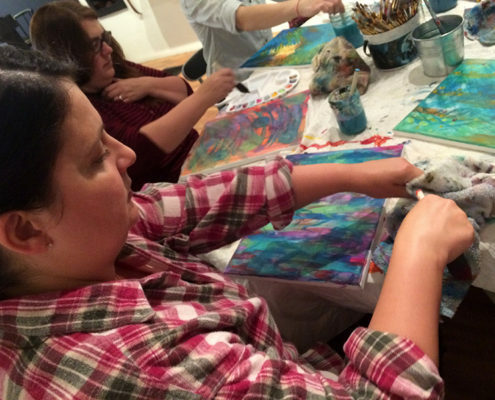 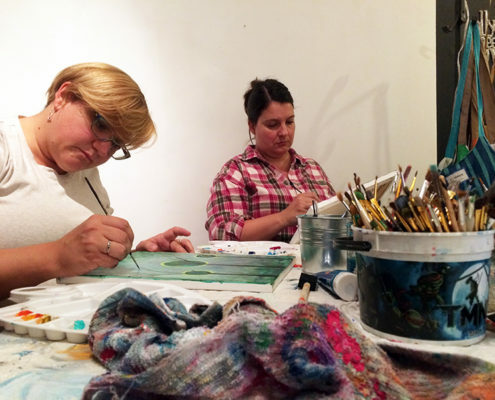 It was wonderful to see everyone relax, laugh and create beautiful masterpieces! 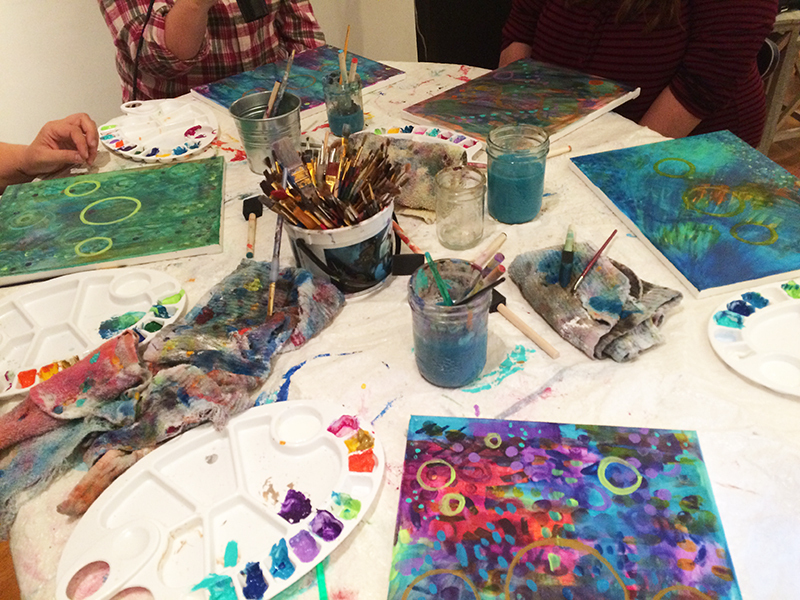 Together we worked on each layer and witnessed our pieces slowly emerge as they took on a life of their own. 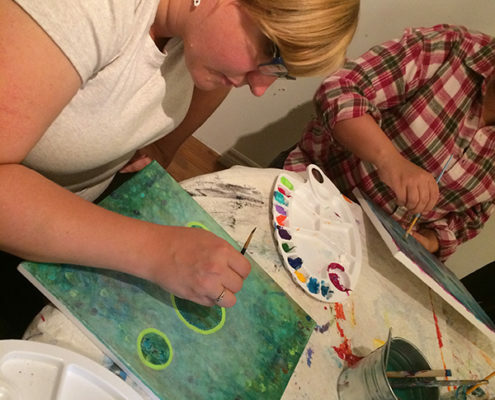 Despite us all following the same steps, each painting had its own unique identity, which is a beautiful thing. 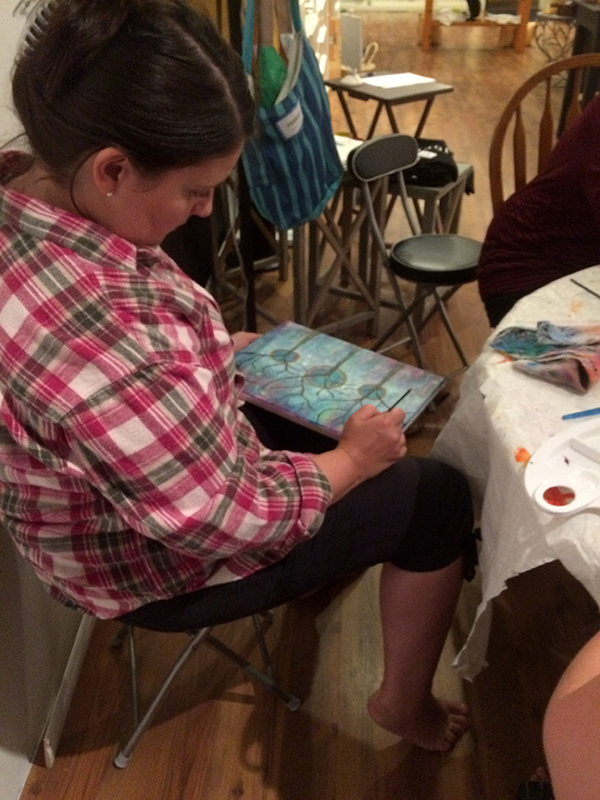 I was able to capture a few photos of the process and invite you to take a peak into this wonderful evening that was had. 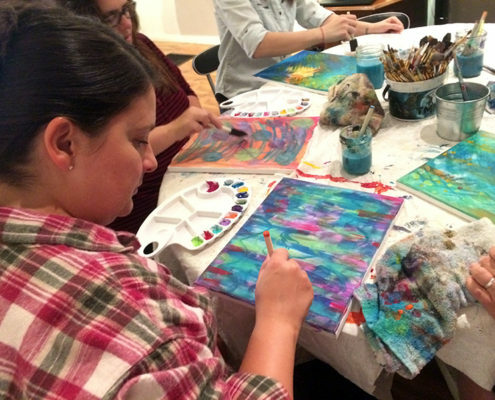 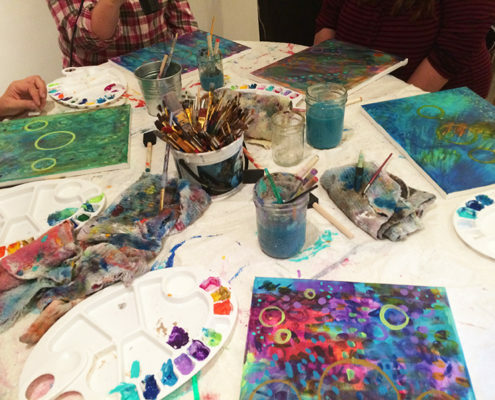 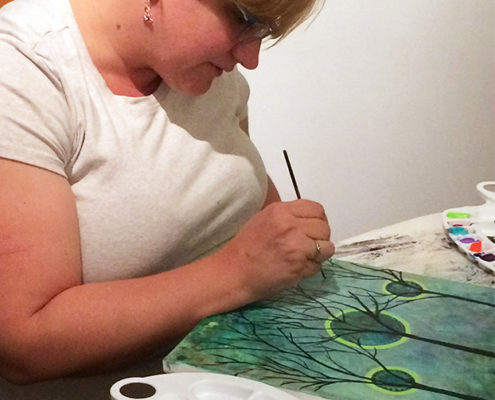 If you are interested in hosting your own intuitive painting night or wishing to know more about teen and adult birthday parties, please send an email to art@briannagosselin.com.